Join us for Latino Legislative Day! Home > Join us for Latino Legislative Day! 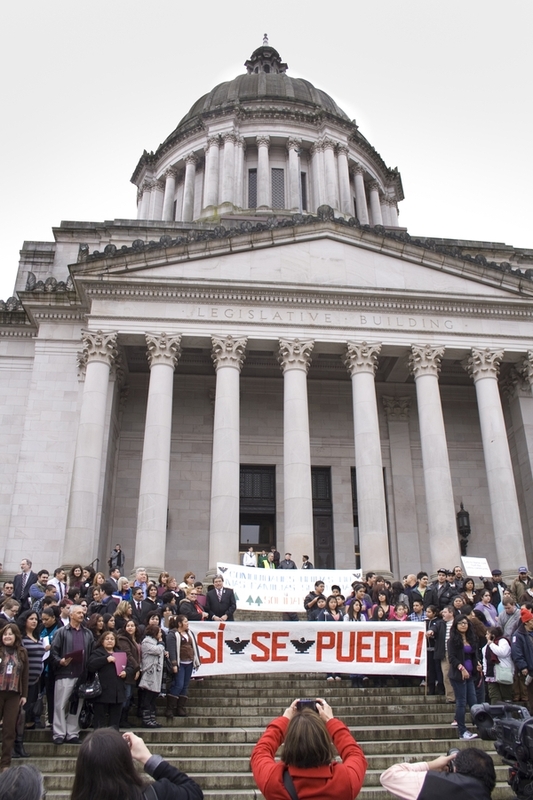 Each year, the El Centro community heads to Olympia to participate in Latino Legislative Day. This year, save the date and plan to participate with us! Latino Legislative Day is a great way to gain knowledge on important topics in a series of informational seminars, network with others who care about the same issues you care about, meet with your legislator, and let your voice be heard! This event is organized by the Latino Civic Alliance. Stay tuned for further information!